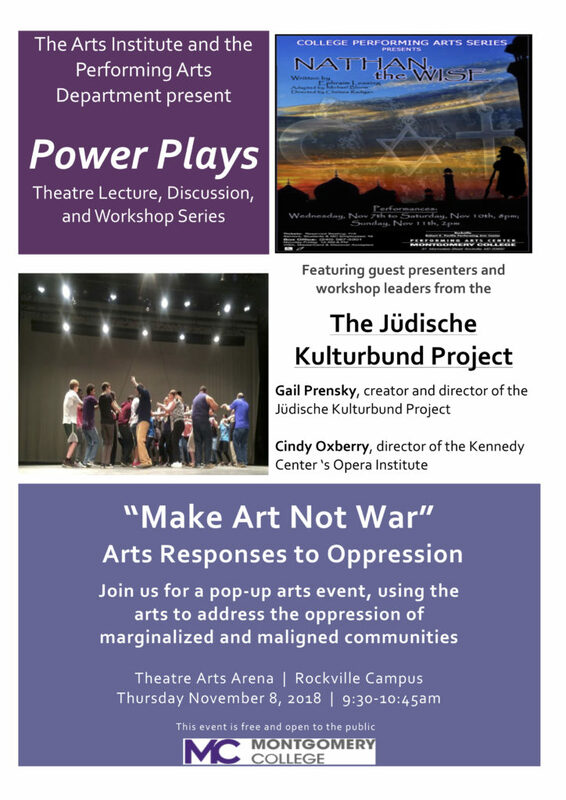 We are leading a workshop "Power Plays: Make Are Not War" at Montgomery College, Thursday, November 8, 2018 9:30-10:45am. This workshop is open to the public. Please join us.